This great conductor was born on 18 April 1882 and died on 13 September 1977. There is much confusion about his life, a lot of it due to his own meddling with his biography, in some ways trying to recreate his life much like it was music. For example, he was not born of Polish and Irish parents as is often stated in notes in discs. I will attempt a really brief biography here, but will publish a more extensive one later, including articles by others. Among the "great, golden age" conductors Stokowski was mentioned along with Toscanini during the 1930s and 40s. They were often seen as antithetical in their approach to music. While it seems to be improving, Stokowski's reputation has suffered a decline since his death. Some of this is due to a bad press and misunderstanding. Stokowski's began his conducting career at the Cincinnati Symphony Orchestra in 1909, at the young age of 27. Prior to that he had been organist at churches in England and New York. After a few years in Cincinnati, however, Stokowski moved on to the Philadelphia Orchestra and molded it into one of the finest orchestras in the world. In fact, Rachmaninoff claimed that the Philadelphia WAS the finest orchestra in the world. Stokowski's reputation rests on three factors. First is his efforts at promoting new music. Second is the vast recorded legacy he left. Finally, it is the "Stokowski Sound." Much of what Stokowski produced would not be considered as NEW today, but that gives an idea how transitory is the notion of new music. Stokowski introduced over 400 new works in U.S. or world premieres. Among the more noted compositions: Berg's Wozzeck, Mahler's Symphony #8, Prokofieff's Symphony #6, Rachmaninoff's Piano Concerto #4, Rhapsody on a Theme of Paganini and Third Symphony, Stravinsky's Le Sacre du printemps, and Vaughan Williams' Symphony #9. The list of first performances covers ten pages in Oliver Daniel's tome: Stokowski: A Counterpoint of View. To this list must be added Stokowski's own transcriptions of Bach's music. In today's climate of authenticity Stokowski's transcriptions are heard as some kind of anathema. It must be remembered, however, that at the beginning of this century there was not much of Bach's music available in the concert hall. Stokowski had played much of Bach's organ music while at St. James Church, Piccadilly in England and St. Bartholomew's in New York. Transcribing from the one instrument to the other (the orchestra) would be a natural for Stokowski. In fact, his recordings of Bach transcriptions with the Philadelphia Orchestra covers two compact discs (on Pearl GEMMCDS9098). Later, stereo recordings are also available on CD. Which provides a segue into the next section, his recordings. Stokowski's first recording was with the Philadelphia Orchestra in 1917. This was the Brahms Hungarian Dance #5 in an acoustic recording. His final one was in May of 1977. Over those 60 years he recorded over 700 pieces of music. His career spanned every technology except the digital one (and just missed it). Among the recordings he made must be included the music from Disney's film, Fantasia. This was an early experiment in stereo but not Stokowski's first. He made experimental recordings for Bell Labs in 1932 from live performances. He also worked on the produciton of the first LP, a 1931 Beethoven 5th. Stokowski was fascinated by the recording technology and embraced each new development. He once said that "the recording process will one day produce music better than heard in the concert hall." Finally, there is the "Stokowski Sound". This is a deep, sonorous sound that grows from the double basses, through the celli and up. It is an organ/orchestral sound. His musical interpretations of all music was sensuous. Of particular interest are his Ravel and Debussy recordings. You can hear the sound in live or recorded performances. 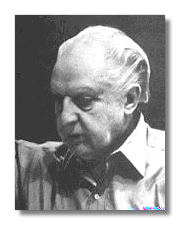 With the release of late of videos and CDs including Stokowski rehearsals, you can hear for yourself how he managed to produce that sound. In one video I watched him get a German orchestra to "get" the Stokowski Sound, playing the Bach/Stokowski Passacaglia & Fugue, in a matter of minutes. Once you have heard his treatment of any piece of music it is almost impossible not to be seduced by it. So, this is just the beginning. I will make every effort to keep you posted on developments in Stokowski's recorded legacy through reviews and articles. Enjoy. Copyright © Robert M. Stumpf II, 1995.